There is no doubt that antibiotics are truly a wonder of modern medicine. Beginning with the discovery of penicillin in 1928, the rapid resolution of bacterial infections from antibiotics caused many in the medical profession to become completely enamored with the drug based approach to illness erroneously thinking that the danger to human life from infections was a thing of the past. By 1940, antibiotics had come into widespread use causing both doctors and people to gradually forget aboutnatural antibiotics for resolving infections and the age old remedies like cod liver oil. This change in the medical paradigm has led in recent decades to abuse of drug based antibiotics and the worrisome rise of antibiotic resistant superbugs such as the “TDR”(totally drug resistant) strain of tuberculosis and Methicillin-resistant Staphylococcus aureus (MRSA) infections particularly in babies and children. The over-reliance on drug based resolution to infections has also triggered an epidemic of children and adults with compromised gut function and autoimmune diseases of all kinds due to an imbalanced intestinal environment and the consequential scourge of leaky gut syndrome. Beyond the problem of antibiotic resistance, however, are the long term effects of even a single round of antibiotics. The expectation in the health community that you can just fix the damage with probiotics and/or fermented foods and that gut flora magically returns to normal seems to be far from accurate. Evidence is now emerging from multiple sources that gut flora may actually be permanently altered by drugs or, at the very least, the damage persists for several years. The Journal Microbiology, for instance, reports that the generally acknowledged precept that use of antibiotics only causes disruption of the gut flora for a few weeks is highly flawed. Gut flora does not quickly return to normal after a round of antibiotics. The bottom line is that drug based antibiotics really should only be used for life threatening situations – as a last resort if you will. For bothersome everyday infections that are not life threatening, however, nature provides some very powerful and effective alternatives. Here is the list of the best of these natural antibiotics which have succeeded in keeping my own family of five off all drug based antibiotics for colds, flu, skin and sinus infections for over 15 years (and counting!). This list of the best natural antibiotics on the planet is in no particular order although I make note of which one is my personal favorite. There are over 40 different oregano species, but the most beneficial one to maximize the therapeutic antibiotic effect you need is the oil produced from wild oregano, called Origanum vulgare. Thymus capitatus, a variety that grows in Spain, is also very powerful. Quality oregano oil made from these species is golden to dark yellow, with a strong spicy odor. Foot or nail fungus. Put a few teaspoons of oregano oil in a small tub water and soak your feet. The oil can also be diluted (one drop of oil with a teaspoon of olive oil) and then apply directly to nails or skin. Parasites and infections: Dilute the oil as described above and place it under your tongue. Hold it there for a few minutes, and then rinse it out. Repeat at least four times a day. Sinus infections: Put a few drops of oregano oil in a pot of steaming water or neti pot, and inhale the steam. Cayenne pepper also called capsicum is a strong spice used for thousands of years for its healing power and antibiotic effects. It’s not just an anecdotal, folklore remedy, however. Science is validating its use as a natural antibiotic as well. Cayenne pepper is particularly effective at resolving vulvovaginitis, a common infection in women. One Czech study found capsicum essential oil exerts a considerable anti-fungal and antibiotic effect on this condition. It is important to properly use a carrier oil such as olive oil and thoroughly dilute cayenne pepper essential oil, however, as capsicum is quite burning upon initial contact with the skin. Cayenne pepper is also fantastic for helping to resolve strep throat. This article describes the protocol in depth. Applying colloidal silver to human subjects has been done in a large number of cases with astonishingly successful results…it has the advantage of being rapidly fatal to microbes without toxic action on its host. It is quite stable. It protects rabbits from ten times the lethal dose of tetanus or diphtheria toxin. In the 1970′s, Dr. Robert O. Becker at Syracuse Medical University began to intensively research colloidal silver. He discovered that silver not only kills bacteria, but it actually killed bacteria that were resistant to all known antibiotics with no undesirable side effects. While colloidal silver is highly antibiotic in nature, I suggest only using it for external uses such as gargling, ear infections like swimmers’ ear and skin. The reason is that ingestion of colloidal silver does damage the delicate gut microbiome by killing beneficial bacteria though not as extensively as drug based antibiotics. If you need the assistance of natural antibiotics to consume internally, choose another one on this list, not colloidal silver. Used full strength to combat warts, properly diluted GSE has a variety of uses to combat pathogens in your home environment. 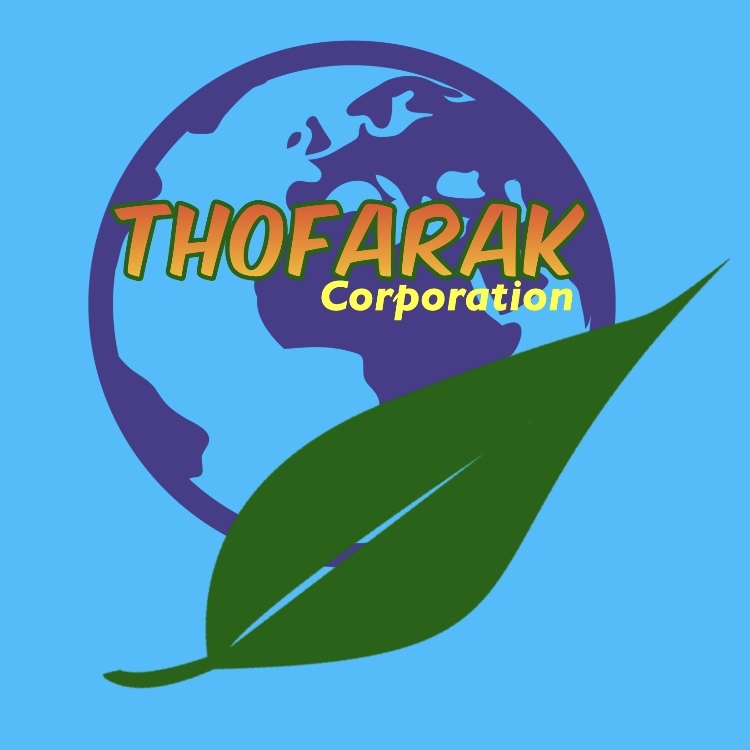 The only caveat is that commercial preparations of GSE have a chemical in them called diphenol hydroxybenzene that is of questionable safety and other chemicals like triclosan and cancer causing parabens that are definitely to be avoided. Therefore, if you intend to use GSE especially internally, it is best to make it yourself by grinding the grapefruit seeds and the juiceless pulp and then mixing with glycerin. Of all the natural antibiotics, garlic is my personal favorite and my family’s go-to for internal use. The reason is that it kills the pathogens, not just bacteria but also fungus and viruses too without harming beneficial gut flora. Garlic packs a punch with phytochemicals and healing sulfur components. These sulfur compounds even chelate toxic heavy metals (like lead & cadmium), binding with them for excretion out of the body. It has antibacterial, anti-fungal, and even antiviral qualities. It promotes the growth of healthy intestinal microflora by acting as a prebiotic (food for probiotics). Garlic helps keep fats from oxidizing. Garlic acts as a strong antioxidant and guards against DNA damage. It protects against radiation & sunlight damage. Garlic fights worms and parasites. It benefits digestion, which is good for the whole body. It contains many nutrients such as vitamins (C, B1, B2, B3), minerals (calcium, folate, iron, magnesium, manganese, phosphorus, potassium, selenium, zinc, and phytochemicals (Allicin, beta-carotene, beta-sitosterol, caffeic acid, chlorogenic acid, diallyl-disulfide, ferulic acid, geraniol, kaempferol, linalool, oleanolic acid, p-coumaric acid, phloroglucinol, phytic acid, quercetin, rutin, s-allyl-cysteine, saponin, sinapic acid, & stigmasterol). 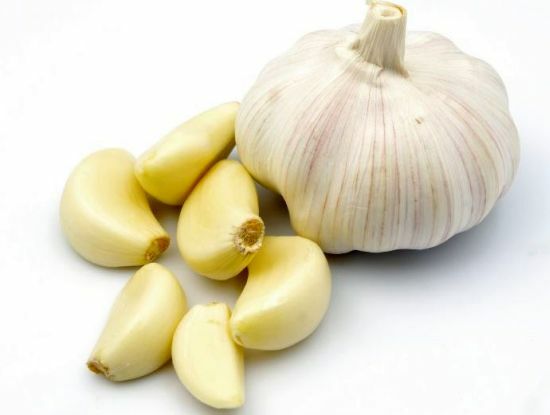 The phytochemical allicin in garlic is so powerful that it is one of the best natural antibiotics effective against MRSA. This article describes how to use it appropriately for this purpose. Dr. Natasha Campbell-McBride MD suggests consuming a whole head of garlic a day when using for natural antibiotic purposes. She also outlines how to make garlic infused olive oil as a remedy for ear and other external infections. Place the crushed garlic in the oil and let sit for 30 minutes, then strain. The oil can be warmed slightly by placing it in a cup and setting the cup in warm water (don’t overheat or this will destroy beneficial properties). Use a few drops of this oil hourly in the ears to treat an ear infection. Garlic oil is a safe remedy for children and can also be used daily (just a couple of drops) to soften ear wax buildup. Have you ever wondered why pickled, raw ginger is nearly always served with sushi? This is likely because of historical folklore concerning ginger’s natural antibiotic effects which help prevent food poisoning. Studies have shown that fresh ginger really does have an antibiotic effect against food borne pathogens such as salmonella, listeria and campylobacter. Fresh ginger also increases stomach acid production and helps calm indigestion when a meal just doesn’t agree with you. So, if you are going to eat something that has the potential for food borne illness such as sushi or raw oysters, always best to eat some fresh ginger (raw and pickled is most potent) too in order to make use of its natural antibiotic properties. This article on how to make The Master Tonic includes fresh ginger (as well as cayenne pepper and garlic). This tonic is a highly effective concoction to make and take with you when traveling overseas in order to have a handy formula available that packs the punch of several natural antibiotics synergistically combined and fermented for maximum potency. Most people are aware of the health benefits of pure, 100% extra virgin olive oil. However, many in the health community are still in the dark about the antibiotic effects of olive leaf extract coming from the very same trees! According to Dr. Ronald Hoffman MD, olive leaf extract as a healing modality was first realized in the 1800’s for malaria. Olive leaf extract may be best known for it’s ability to reduce fever even due to severe illness. Early in the last century, oleuropein was isolated from olive leaf extract as this phytochemical was thought to give the olive tree its resistance to disease. Researchers from the Netherlands then learned that elenolic acid, a component of oleuropein, acted as a broad spectrum natural antibiotic, which safely and strongly inhibits the growth of not only bacteria, but also viruses and fungi. Dr. Hoffman MD’s suggestion for use of olive leaf extract for long standing infections or candida is two 500 mg capsules (20% oleuropein) three to four times per day, preferably with meals. 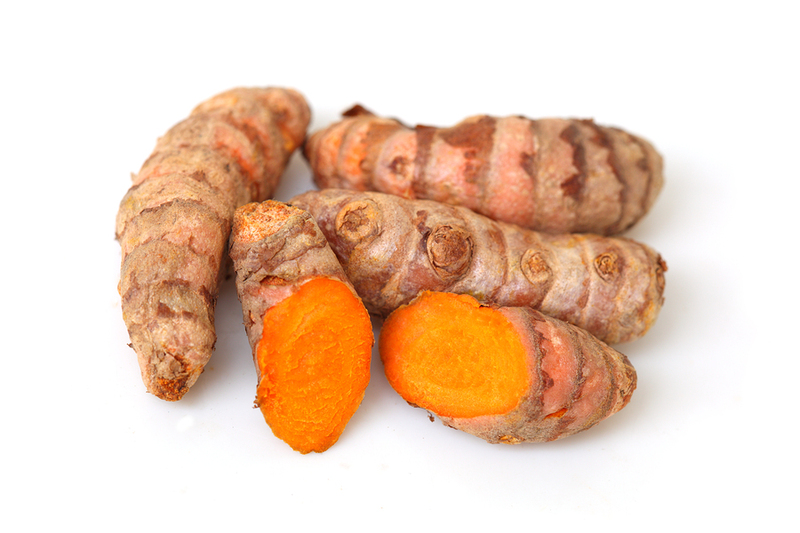 Turmeric is a spice widely used in traditional Indian cooking that has been used holistically for centuries. In research, the curcumin in turmeric was shown to be effective against Helicobacter pylori common in gastroduodenal ulcers regardless of the genetic makeup of the strain. The administration of curcumin also resolved any gastric damage caused by the infection. If you wish to use turmeric as a natural antibiotic, Dr. Weil suggests to look for extracts in dosages of 400 to 600 mg, and take three times daily or as directed. Echinacea is widely used to fight infections, especially the common cold and other upper respiratory infections. Echinacea is also used against many other infections including the flu, urinary tract infections, vaginal yeast infections, genital herpes, bloodstream infections (septicemia), gum disease, tonsillitis, streptococcus infections, syphilis, typhoid, malaria, and diphtheria. German scientists have studied echinacea using double-blind, placebo-controlled studies, the gold standard for scientific research on drugs. One of these showed that echinacea users experienced less frequent and less severe virus infections by one-third to one-half with no toxic effects compared to the group that took a placebo. According to Dr. Sears MD, echinacea studies on adults suggest 300 mg three time a day for a total of 900 mg a day as a recommended regimen. For children, half the adult dose for ages 6-13, and one-quarter the adult dose for those under age six. What would this list of natural antibiotics be without raw honey which has been used as an infection fighter since ancient times? 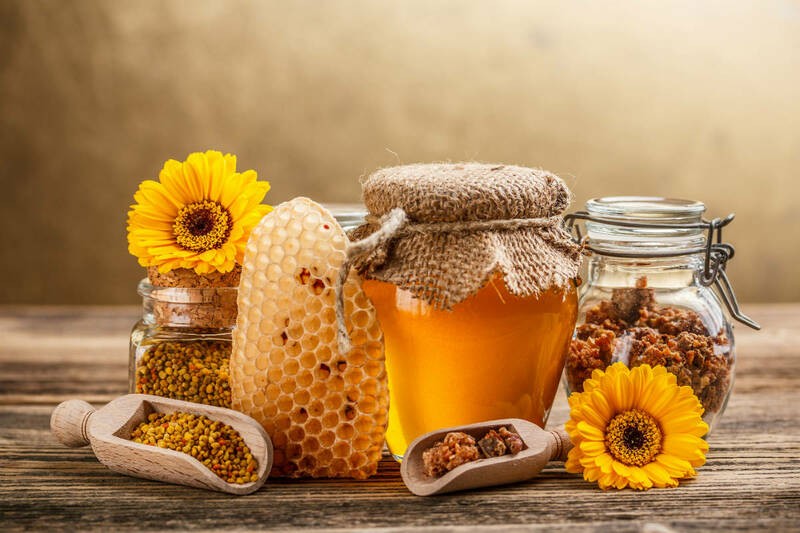 Of all the raw honey on the planet, Manuka honey from New Zealand is the best when it comes to resolving infections. I first used Manuka honey 16 years ago shortly after my first child was born to resolve a breastfeeding related infection. It worked so well I was able to avoid using antibiotics. In 2007, the FDA even approved Manuka honey based wound dressings. The great thing about Manuka honey is that it is food. I’ve personally found it most effective for skin based infections (just slather on as needed), but the research indicates an internal infection fighting benefit as well even reducing the cavity causing bacteria responsible for dental plaque. Overuse of drug based antibiotics frequently leads to an overgrowth in the gut of a large family of yeasts or fungus known as Candida. Pau d’arco is an herb that is highly effective at repressing Candida and significantly reducing the resultant sugar cravings that come with it. Repressing Candida and ingesting plenty of probiotics in the form of fermented foods and/or supplements will over time allow beneficial gut microbes to regain control of the gut environment. While Pau d’arco has been used as a medicine for centuries as one of the best natural antibiotics to counteract fungal overgrowth, science is also validating these anecdotal observations. The Brazilian Journal of Biology found in 2010 found that Tabebuia avellanedae, one tree species that is the source of the Pau d’arco herb, does indeed exert an inhibitory effect on yeasts. The form Pau d’arco is most often used is as an herbal tea, which I must admit, is an acquired taste! Even after drinking it as needed for the past 2 decades, I still don’t like it much! The good news is that the taste isn’t so terrible that you can’t drink a cup or two for a few days to a week or more. This will help you get back into the routine of healthy eating with sweets kept in moderation if Candida has gotten out of control during off the wagon eating while on vacation or due to a round of antibiotics. Which of the natural antibiotics on this list are your favorites? What do you use them for and when?